Multi colored mercury glass table lamp. Square hardback shade (13"x13") x (15"x15") x 11". 3-way switch. Type A light bulb 150 watts max or CFL 25 watts max. 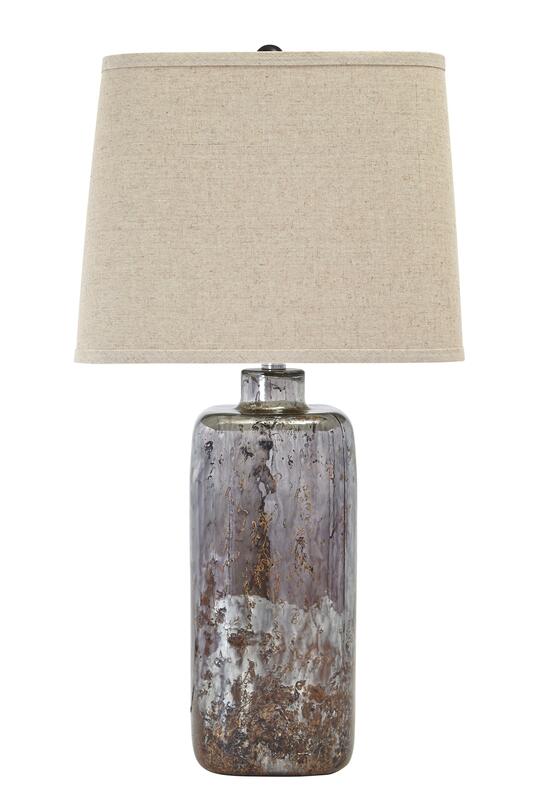 The Lamps - Contemporary Glass Table Lamp by Signature Design by Ashley at Furniture Fair - North Carolina in the Jacksonville, Greenville, Goldsboro, New Bern, Rocky Mount, Wilmington NC area. Product availability may vary. Contact us for the most current availability on this product.